When we freshened up our logo we decided on shocking pink for the new colour. In order to ensure that this colour becomes well and truly established we are in the process of redecorating our reception areas. The work is paintwork is being done by our favorite 'resident' decorator Reg Wilson. If you have visited the studio you will know the colours and the new look may give you quite a suprise...but if you haven't visited us, then why not come along, we'd be delighted to show you around. Just give us a call on 01332 291141 and we'll look forward to seeing you very soon! Back in the Summer we decided that the rear of our property could do with some new gates. We did exactly what anyone in Derby would do...we put in "Gates + Derby" into Google and we were fed with a number of link options. Ideally we wanted someone genuinely local and someone we could talk to about our needs...(we had a front gate that needed repairing too). So after some diligence we opted for "The Gatemaker" making an on-line e-mail enquiry, we were quickly contacted by Jami who arranged for their representative Bernie to come out and measure up. Bernie gave us a quote there and then, along with a very reasonable leadtime. We were impressed. Good quality, good price and totally honest. The front gate duly arrived and we were all delighted, so much so that we ordered another gate for the rear, as this made the property look so much better...and finally the whole picture was complete. About three months went by - with no issues. When, suddenly, quite out of the blue, we received a phone call from Bernie. Bernie explained that when he visited us, he was impressed with the work we do and more importantly, the attitude and approach to our correspondence (I sent them a picture of a meerkat with a machine gun at one point...!). It was our up-front and honest approach that they all liked, 'the way we dealt with a problem' is exactly how he put it. 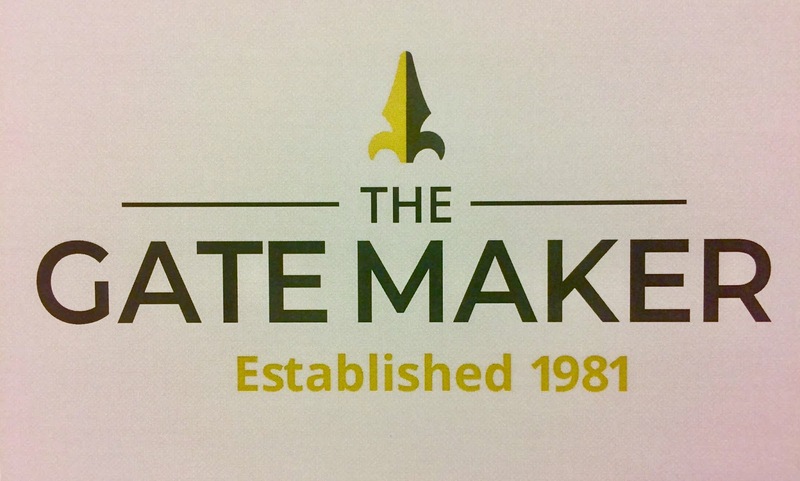 So, a visit was arranged and we were delighted to be appointed as the creative agency for The Gatemaker and Derby Gates. It's early days yet but we are all very excited about helping this local company to expand and grow. The pictures above show how we intend to develop the Gatemakers' corporate identity - you can see our initial concept compared to the original below. In additon there will be new sales brochures, a more comprehensive website as well as new stationery, signage and showroom. We are all very much looking forward to helping them throughout 2019 and beyond. Quite simply, we love working with nice people - if you like working with nice people too, then why not give us a call on 01332 291141 and we will happy to chat about your needs. 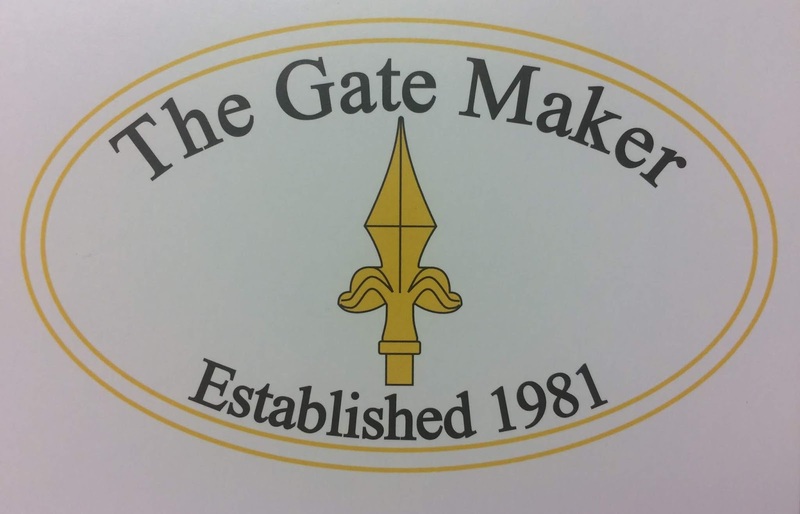 Also, if you need new gates or any metal work refurbishing, then look no further than The Gatemaker - top people, with top quality products. Its not just about us is it..?!!! I know we all like to blow our own trumpets from time to time, but sometimes our business 'rivals' deserve a mention too!!! This is David and Denise Leatt of Three Sixty Media who are good friends of mine. The photo shows them being presented with one of five cups for their golfing triumphs at Kedleston Park this season by the Lady Captain and Captain. Well done you two, lets hope that 2019 brings you more second places..!!! 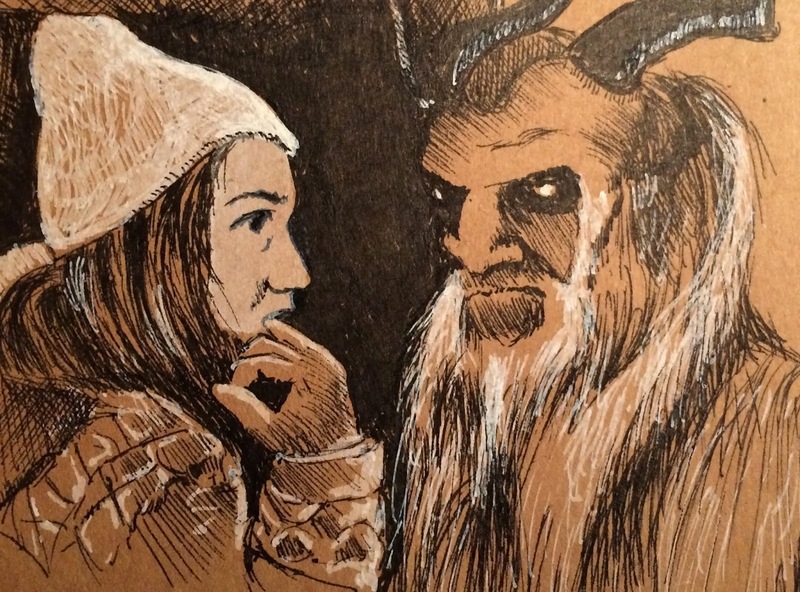 I was recently inspired to get back into sketching. Here at the studio we use computers nearly all the time, as such we are somewhat removed from the hand to paper aspect of creativity. 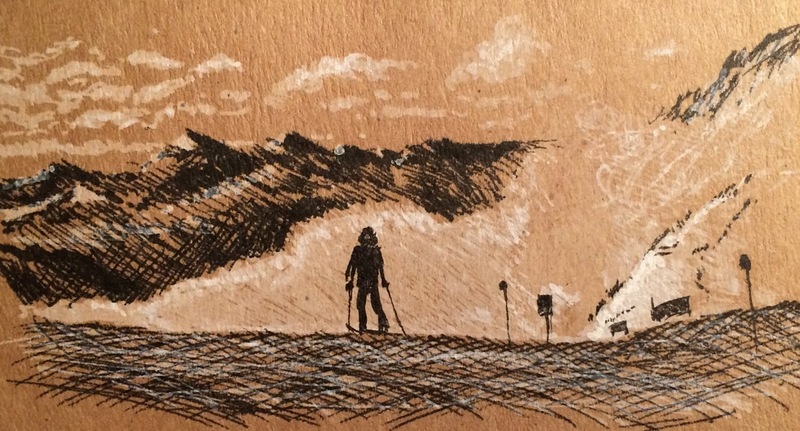 In short, I was missing the feel of pen on paper! 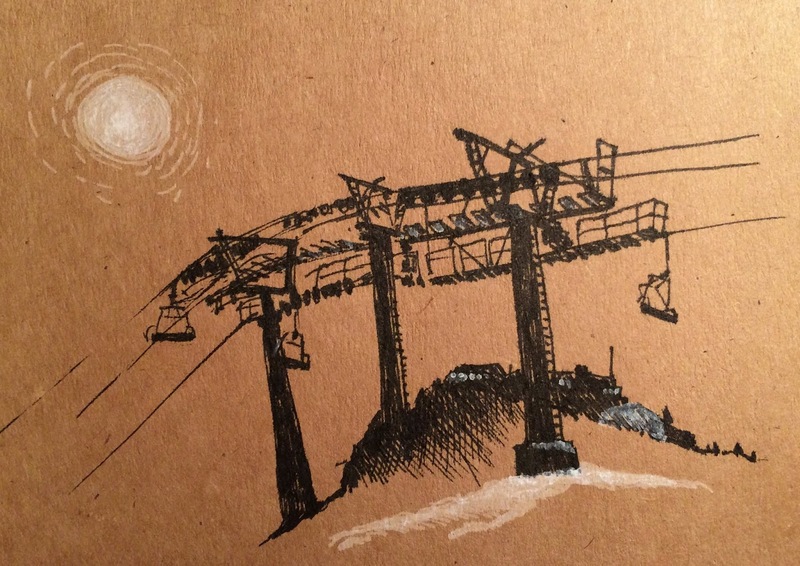 As many of you know I often ski guide during the Winter season (as well as occasionally instructing) so it was an obvious choice really - to do a sketch each day based on something I had seen or photographed during the day. The discipline being, that no sketch could take more than 30 minutes to complete and I was not allowed a second chance..! So out to Derby I went to purchase some pens and a sketch pad. After 5 days of skiing on the Hintertux glacier these are the first set of results - a mixed bag I think. The style was getting better as I 'got back into it'. 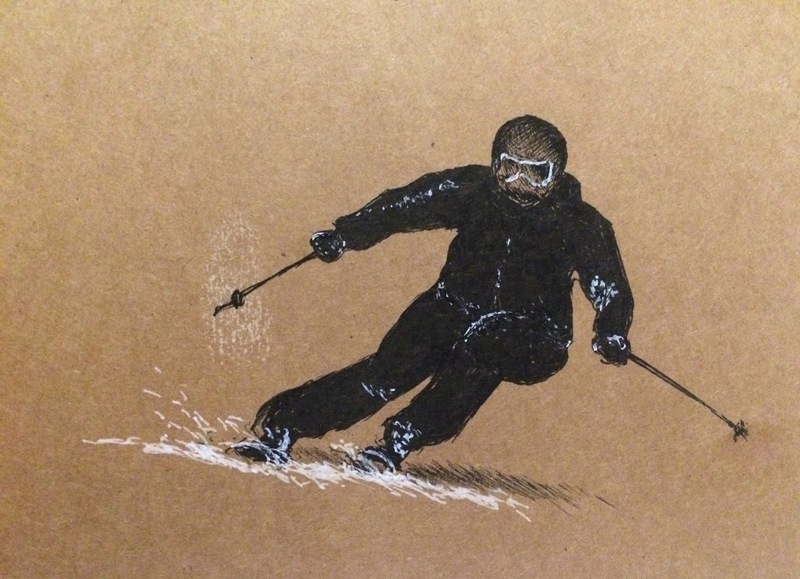 I am sure that by the end of the season I should have an ever improving set of around 60-70 sketches, or 'skietches' as I have decided to call them!